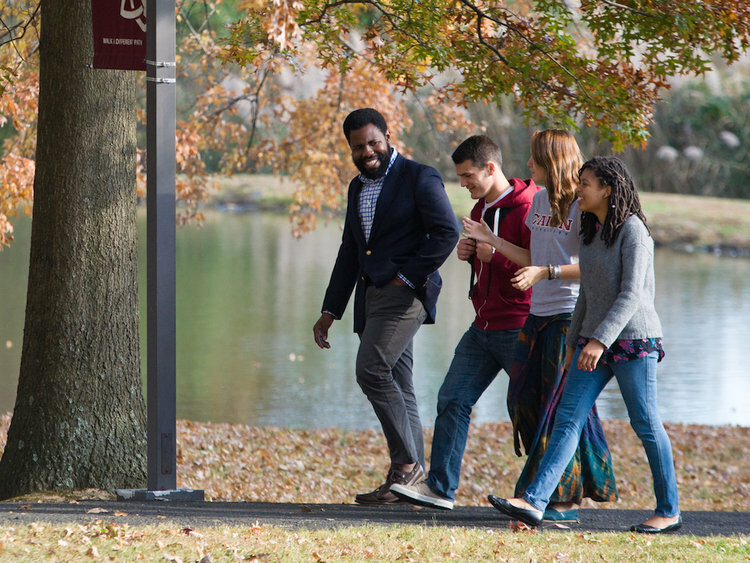 CAIRN UNIVERSITY, founded in 1913, enjoys a heritage that spans over one hundred years. Cairn is located in Bucks County, PA. The average class size is 17 in undergraduate settings and the student-teacher ratio is 14:1. There are 26 countries and 26 states represented within the student population. There are over 60 undergraduate programs offered at Cairn University. Students are challenged intellectually and spiritually in and out of the classroom, prepared professionally for success in their life now and in the future, and inspired by faculty and staff who care for them, invest in their lives, and serve as examples. Additionally, students learn by being involved in dynamic campus life and in regional and international communities and organizations. Cairn intercollegiate athletics aims to provide the student-athlete with the opportunity to demonstrate excellence on the field of play, integrity in competition, and a desire to win while performing to their utmost. As part of the University, each student becomes part of the Cairn family. Often, students and professors study, share meals and fellowship, and become part of one another’s lives during their time together. The campus is large enough to offer a broad cultural experience, and small enough to provide you with a supportive, community atmosphere. Student groups promote leadership opportunities, spiritual maturity, and cultural awareness. Students walk along side one another, on the same path toward responsible decision making, spiritual growth, transformation, and character development. THE CAIRN COMMUNITY is enriched by international students from dozens of countries, whose global perspective enhances the entire student body’s experience. Cairn’s International Office helps students navigate the application and F-1 visa process, and continues to support them throughout their University experience. Amanda - "I used to be afraid of questioning, but my education at Cairn has shown me the importance of confronting the questions that arise as I consider how my faith relates to my understanding of the world. In this worldview focus, I have found a freedom to examine ideas without fear of defensiveness." Megan - "At Cairn, my eyes have been opened to a new way of learning, one that focuses not on passing a test, but on building new information into your character. More than anywhere else I visited, this University is vibrant and passionate about translating faith in the mind to faith in action." CLICK HERE to visit Cairn University's website for International Students!